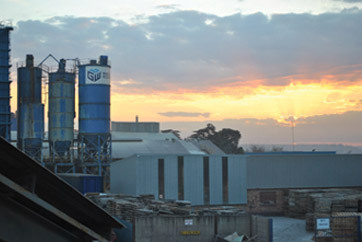 G & W Base and Industrial Minerals (PTY) Ltd, T/A G & W Mineral Resources, is a member of the Zimco group of companies in South Africa which is a wholly owned subsidiary of the Ecobat Technologies group in the UK. This gives G & W Mineral Resources access to global technology and resources. G &W Mineral Resources is the leading supplier of specialized industrial minerals in South Africa and has been servicing the needs of both local and overseas customers for more than 60 years. G & W Mineral Resources supplies more than 70 different products to a wide range of industries, and exports to Sub-Saharan Africa, as well as marketing a range of specialized industrial minerals and other products that are sourced both locally and internationally. These products are processed at our Wadeville plant and distributed directly to our customers. Matsopa Minerals, a subsidiary of G&W Mineral Resources, is responsible for all mining activities and as such operates 6 mines in South Africa and Mozambique. A fully integrated, traceable quality assurance programme is in operation to monitor every stage of the supply chain process - from raw material acceptance through to delivery of the final product. This culminated in G & W Mineral Resources receiving the coveted ISO 9001:2008 certification. G & W Mineral Resources has also received the OHSAS 18001, ISO 14001 and ISO 50001 certification. Our research and development involves continuous improvement of product performance, process improvements and product customization in order to supply products that comply with our customers' exact needs. G & W Mineral Resources seeks to increase market share by the continuous improvement of its products and customer service, and by providing the leadership, resources and training necessary to create an environment in which every member of the company can contribute towards our continuing success. All of G & W Mineral Resources’ Corporate Social Responsibility programmes are run and managed by both G & W Mineral Resources and Matsopa Minerals. These initiatives comprise learnerships, AET training, bursaries and local economic development initiatives. G & W Mineral Resources actively promotes safety, health, environmental and quality awareness and training. Adherence to the relevant principals, best practice and legislation has resulted in an exceptional record in these areas, which we constantly strive to maintain.